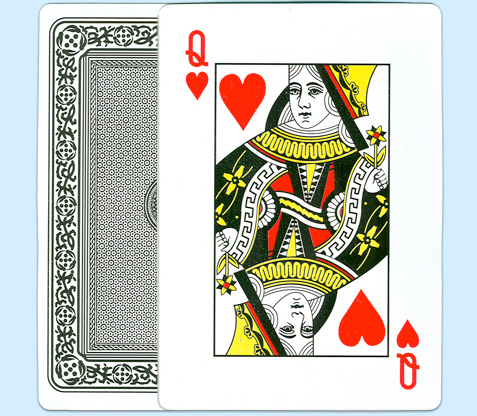 Large Plastic-Coated Playing Cards – 4-3/4" by 6-3/4"
These Large Size Plastic-Coated Playing Cards measure a giant 4.75" wide by 6.75" high. Our Big Playing Card Decks are great for card games, as fun novelty items, as decorations, or for any use that you have in mind! Red Back Big Playing Cards and Black Back Big Playing Cards are available.